A question we often get asked is: "what sizes do your poles come in? 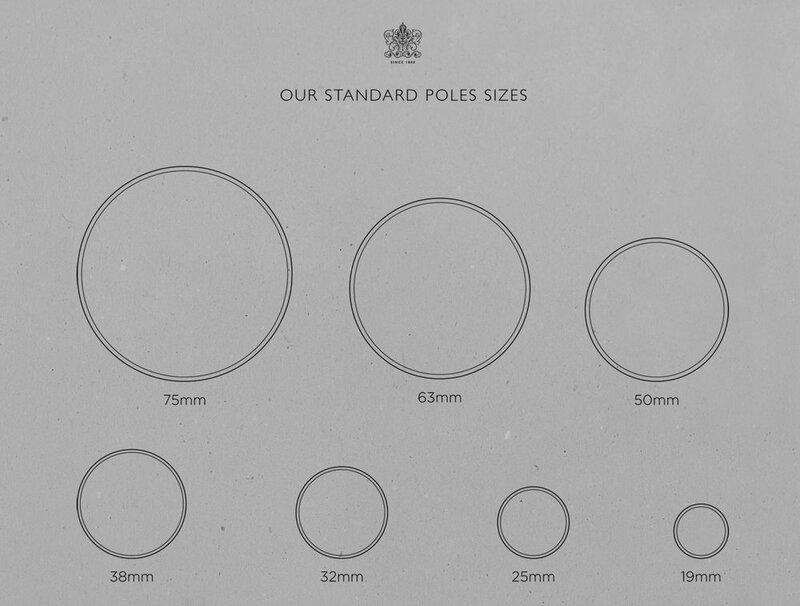 ", so we have created the chart below which outlines all the standard pole sizes for the benefit of our customers. There are often situations where a pole needs to be formed around a bay window or a similar area - we can ensure that a pole will fit perfectly in applications like this. Within our facility we have the expertise to manufacture poles to fit into almost any space, however large or small.